Looking for a job in McLean County Illinois? This McLean County Illinois job guide is a resource for job seekers looking for legitimate employment opportunities in the region with an emphasis on government positions, top healthcare employers, public school careers, and major job boards. McLean County Illinois periodically posts job openings. Open positions found on this review date had included Corrections Employment, Health Department Administrator, Office Support Specialist, Registered Nurse RN, and Registered Nurse RN Communicable Disease Investigator. Check their site for the latest listings. Bloomington Illinois was hiring. Open positions found had included Parks & Recreation Jobs, Firfighter Paramedic, Dance Instructor, Camp Counselor, Lifeguard, Preschool Instructor, Recreation Leader, Preschool Recreation Jobs, Swim Instructor, Cashier, Ice Center Jobs, Miniature Golf Jobs, Assistant City Planner, Water Maintenance Worker, Park Courtesy Patrol, Support Staff, and more. The Town of Normal Illinois periodically posts opening when vacancies become available. OSF St. Joseph Medical Center is a 149-licensed bed, not for profit, acute care, and Level II Trauma Center facility located in Bloomington, IL. A survey of open positions found had included Ultrasound Tech, Surgical Technician, Surgical Tech, Surgery Aide, Speech Pathologist PRN, Retail Team Member, Registered Nurse RN ICU PRN, Registered Nurse Telemetry, Registered Nurse RN Med Surg, Registered Nurse Emergency Department, PRN Nursing Jobs, Registered Nurse ICU, Registered Nurse RN Cardiac, Construction Project Manager, Podiatry Nail Technician, Patient Safety Attendant, Patient Care, CNA Jobs, Certified Nursing Assistant, Medical Office Assistant, Front Office Assistant, Food Service Worker, Diag Radiology Tech, Clinical Lab Scientist MT, Medical Technologist, Clinical Engineer, Advanced Practice Provider Behavioral Health, Skilled Nursing Facility Provider, and Advanced Practice Provider Rheumatology. Advocate BroMenn Medical Center is a 221-bed not-for-profit facility located in Bloomington-Normal, IL. Job available had included ED Patient Access Rep, Registered Nurse Mother Baby, Pharmacy Technician Job, Licensed Practical Nurse LPN, Front Office, Clinical Assistant Job, Dietary Aide (Dishwasher) PRN, Atrium Servery Assistant, Logistics Technician, Rehab Unit I/P Therapy, Environmental Services Jobs, Registered Nurse Surgical Job, Housekeeping Job, Ultrasound Tech, Registered Nurse ICU, Certified Medical Assistant, Front Office Rep, Registered Nurse Medical Oncology Job, Reimbursement Specialist, Registered Nurse Cath Lab, Patient Accounts Rep, Home Health Director, Medical Assistant, Registered Certified Medical Assistant, Occupational Therapist, OT Jobs, Registered Nurse CVCU, Medical Assistant Surgical, Registered Nurse PRN Mother Baby, and EEG Tech. McLean County Nursing Home consists of 150 skilled nursing home long-term care beds. 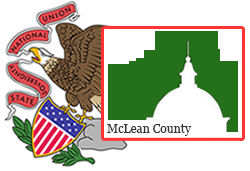 Careers are advertised on the McLean County job board. Positions available on this review date included CNA's (Certified Nursing Assistants) FT/PT available and RN's FT/PT available. These jobs come with benefits including a generous vacation plans and IMRF Pension Program. ResCare is the country's largest provider of services to people with intellectual and developmental disabilities, the largest privately-held home care provider to seniors and largest provider of education, vocational training and job placement for people of all ages and skill levels. During review there were open positions available for RN Registered Nurse for Home Health Care, LPN Licensed Practical Nurse for Home Health Care, and CNA and Home Health Aides for Home Health Care. Vital Wellness provides home health and private duty health services. Here jobs can be found such as Clinical Manager, Home Health Aide, Occupational Therapist, Physical Therapist, Registered Nurse Case Manager, and Private Duty CNAs and Caregiver-Homemakers. Bloomington Rehabilitation and Health Care is dedicated to assisting the elderly population in maintaining the highest possible quality of life for the longest possible time. Openings may include Registered Nurse (RNs) / Licensed Practical Nurse (LPNs), Certified Nursing Assistant (CNAs)-Sign On Bonus!, Account Receivable Medicaid Specialist, Charge Nurse (Registered Nurse), Housekeeper, Janitor, Housekeeping Jobs, Maintenance Assistant, Dietary Aide, and Licensed Nurse. McLean County Unit District No. 5 had a variety of employment opportunities. Job listings included Human Resources Coordinator, Assistant Principal, Art Teacher, Homebound Certified Teacher Job, Certified Teacher Art Job, Certified Teacher - English as a Second Language, ESL Teacher, Certified Teacher 1st Grade, Food Service Cook , Physical Therapy Assistant Job, Certified Teacher Industrial, Speech Assistant Coach, Special Education Teacher, Basketball Coach, Certified Teacher Special Education Job, School Custodial Jobs, Speech & Language Pathologist, Administrative Assistant, Custodian, Food Service Worker, Substitute School Nurse, Substitute Teacher Job, Substitute - Teaching Assistant Job, Teaching Assistant - Special Education, Certified Teacher Special Education ESY & Autism, and School Nurse. Bloomington School District 87 was hiring. Employment listings found had included Assistant Principal Job, School Guidance Counselor, School Nurse Job, LBSI, Soccer Coach, Assistant Football Coach, Art Teacher, 5th Grade Teacher, Custodian, Spanish Teacher, Math Teacher, Computer Science Teacher, Language Arts Teacher, Technology Teacher, Bilingual Teachers, Special Ed Teacher, STEM Camp Bilingual Teacher, STEM ESL Teachers, ESY & STEM Camp/STEM Camp K-5 Teacher, STEM Camp Media Specialist Job, PE Teacher Job, Substitute Clinical Instructors for Nursing Assistant Program, Hall Monitor, Lunchroom Supervisor, Classroom Paraprofessional Job, and Special Ed Teacher Assistant Job. Heyworth Community Unit School District 4 openings found had included Part Time Pre-Kindergarten Teacher, Non-Certified Jobs, ECE Teacher's Aide, Crossing Guard, Dishwasher, Cafeteria Aide, Extra Curricular Positions, Softball Assistant Coach, Wrestling Assistant Coach, and Substitute Teachers Needed. Tri Valley Community Unit School District 3 is an ECE-12 district located in Downs, approximately 8 miles southeast of Bloomington-Normal. Leroy Community Unit School District 2 was hiring School Bus Drivers, Paraprofessionals, and ESY positions. Ridgeview Community Unit School District 19 had open positions available such as Language Arts Teacher, Reading Teacher, Volleyball Coach, Substitute Bus Driver, Cheerleading Coach, Substitute Nurse, and more. Lexington Community Unit School District 7 had open positions. Use the employment opportunities link on their home page (left-side links). Olympia Community Unit School District 16 was hiring on this review date. Job openings found had included Head Track Coach, Assistant Football Coach, Music Teacher, Part Time/ Substitute Custodians, Maintenance Technician, 8th Grade Science Teacher, Teacher's Aide, Administrative Assistant, Substitute Sp. Ed. Classroom Aide, Substitute Regular Classroom Aide, Substitute School Secretary, District Mechanic, Substitute Bus Aide, Substitute Bus Drivers, and more. Use the power of the Job Bank to execute advanced searches that allow you to identify instructional, administrative, non-certified support staff, and school service personnel jobs. The Baby Fold is committed to transforming children's lives through strong family and community partnerships. Available positions found had included Family Therapist, Substitute Teaching Assistant, Special Education Teacher, Child Welfare Specialist (Foster Care), and School Counselor. Eastland Mall has an employment page. If their employment page is not updated you can check with various mall businesses to inquire about vacancies. Central Illinois Regional Airport's employment page provides information about various airport employers. Here you'll find opportunities with various tenants and airlines for positions such as customer service, food service jobs, ramp agents, rental car agency jobs, sales jobs, retail positions, management positions, cashiers, security, and more. You can also check for TSA jobs at the airport. Monitor the State of Illinois web-based electronic hiring system for job openings in McLean County.